The power of pink is packed into one beautifully blushing bouquet to make your recipient's day one they will never forget! 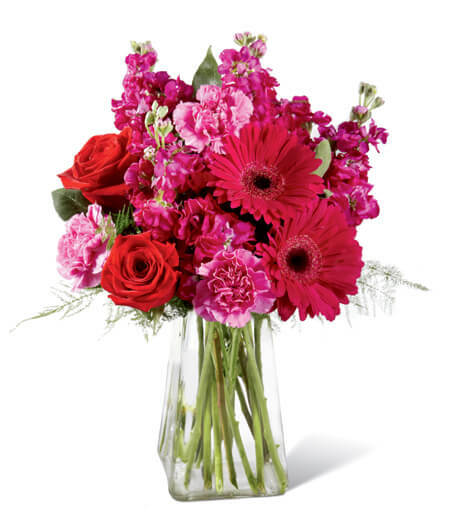 Red roses make the hot pink petals of carnations, gilly flower, and gerbera daisies pop in this fun and fanciful flower arrangement accented with lush greens and presented in a gathered square clear glass vase. Berried bliss in every way, this bouquet is set to create a standout birthday, congratulations, or thank you gift.